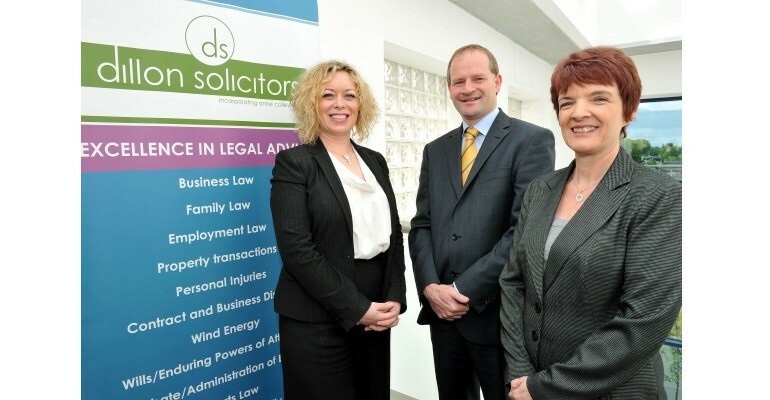 Dillon Solicitors is a law firm offering a wide range of legal services to its substantial private and business client base since 1993. The company provides practical and relevant advice together with innovative proposals as to how clients' best deal with their legal problems. The firm has implemented an IT cloud infrastructure solution to facilitate a move to a paperless office. Dillon Solicitors have experienced significant growth in recent years and recognised the advantages associated with moving towards a paperless office. They also wanted to ensure staff had reliable remote access functionality along with a future proofed cloud infrastructure. Dillon’s selected Trilogy Technologies as their solution provider because of the company’s experience with the required technologies and external suppliers. They implemented a fully redundant virtual private cloud infrastructure based on Microsoft Small Business Server and VMware platform, and improved Dillon’s remote access functionality by leveraging the remote work place functionality that comes with Microsoft Small Business Server. Trilogy worked with Opsis to scope out the infrastructure and platform to support Dillon’s electronic work solution. The solution has dramatically improved the company’s ability to efficiently handle client documents and has eliminated the need for paper files. Employees now have reliable access when working from home and the private cloud solution allows them to manage their own applications and infrastructure. The private cloud solution allows Dillon to manage their own applications and infrastructure.
" The new solution has dramatically improved our ability to efficiently handle client documents and eliminates the need for paper files. We can now easily locate critical items as well as create a streamlined environment for the daily workflows "